It was Christmas 1998. I was a junior in high school. While I had a semi-part-time job, I was not raking in much of my own cash and could not purchase every single game I wanted. That’s OK, though. Ocarina of Time would have only been out for a month, so I could wait until Christmas for it. The last game in the series had been Link’s Awakening, which by now you know well is one of my favorite games of all time. Also adoring Super Mario 64, I was beside myself with excitement over the latest game in the series coming into the world of 3D. And there it was, ready to be unwrapped under that glorious tree on Christmas Day in 1998. Not only that, but it was the golden cartridge version, a limited-edition version that could only have been obtained with a pre-order, and a toss-back to ye’ olden NES days of golden Legend of Zelda and Adventure of Link cartridges. I later heard the hilarious tale from my mother. She fought through a crowd of people at Toys ‘R Us to get up to the front. Somehow she learned or overheard that there was a golden-cartridge version, which is the version she asked for at the desk. The person behind the desk asked her if she pre-ordered. She said she did. My mother lied; she had done no such thing. The goal was clear, and she would accept no other outcome. She walked out of the store that day with the limited-edition golden cartridge version. We are greedy and clueless as children, and have no understanding of the nonsense our parents go through. I can reflect on that now and try to put myself in her place. I wonder if and when I have children if I will ever fight a crowd of equally-annoying parents for the golden-boxed virtual reality car flying simulation kit as a gift. Knowing me, I’ll make up a wonderful story about how the clerk put my pre-order under someone else’s name, and I will be victorious. The real shame here is that Ocarina of Time never truly captivated me. In fact, I was completely lost as to what to do for a couple hours after first starting it. To this day, I have never made it past the Water Temple. I have made many valiant efforts over the years, but I simply get bored earlier and earlier in the game each time. I appreciate the game for what it is, love many of its elements to death, and certainly hold it in the highest regard and with fond memories. Thankfully I found a wife who prefers and has essentially mastered all of the 3D Zelda games, so her 3D Triforce of Power matches up well with my 2D Triforce of Widsom. I guess we’ll need a kid one day with their Virtual Reality Triforce of Courage. Do I Actually Like Zelda II? The first two Zelda games on NES were natural Virtual Console purchases for me. I play through the first game, usually over the course of one or two days, every couple years (on the NES itself, the Gamecube “Collector’s Edition” disc, and sometimes emulated, but now mostly on Virtual Console). The second game was one I never actually beat as a kid (I managed to get to Thunderbird and always died), but it was a game that I would “re-start” again and again since my youth and its original release. I typically never make it beyond the second palace before either getting bored, frustrated, or just moving along to something else as I tend to do with my Gaming A.D.D.™. I’ve had a save file on my Virtual Console version set right after a completion of the first palace probably since first downloading the game when it came out back in June 2007. Maybe a month or so ago I was showing Andrew the NES setup down in our basement (along with Sesame Street ABC/123, one of the creepiest games of all time, which I will write about at some point when I come out from under the covers), and played through the first palace in Zelda II, yet again, this time on the ol’ cartridge. 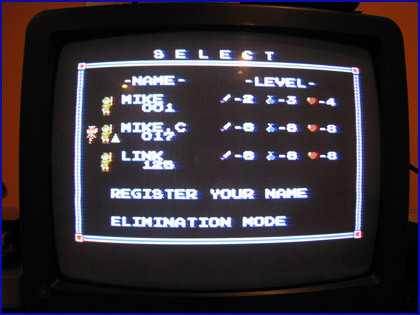 I was shocked to see that the save file of my childhood friend (“MIKE C.”), was still there on the game, complete with the little Triforce next to the icon to show he had beaten the game. That excitement reminded me of the Virtual Console version upstairs, so I decided to pick the game up again one day and see how far I would get before the same trend of boredom and/or frustration and/or Gaming A.D.D.™ took place. Right now I am in the middle of the third palace (got the raft but have not gone to the boss), and have also ventured over to the eastern continent to save the child, learn two new magic spells, and learn the upward-thrust sword technique. As expected, the most difficult part so far was getting the hammer; if you make it past that point in the game, you are typically going to keep playing for at least a little while longer. With the hammer in tow (and not yet bored), I decided that I would keep playing the game until it frustrated me to the point that it was no longer fun. I especially wanted to get myself over to that eastern continent, something I probably hadn’t seen since I was a kid playing through the game for the first time. Now that I am there, I find myself asking strange questions… like, do I actually… ya’ know… like this game…? While I had played the first Legend of Zelda rather extensively through trades with friends and rentals, I actually owned my own personal copy of the second game before I owned the first. I was only six years old when it first came out in 1988, and while I do not remember exactly when I got the game, it couldn’t have been all that long after that (maybe within a year?). At that point in a child’s life, they can’t exactly “save up” allowance money to purchase new games or convince their parents to get the latest game, so it was an instance where you (“you” being “I”) got a game and played the ever living Hell out of it, since it was all I had (beyond what I received with the system, which was a collection of Super Mario Bros. / Duck Hunt, Super Mario Bros. 2, and Sesame Street ABC/123, which was more for my sister than me… but, hey…). But here I am, nearly twenty years after first playing the game. I have barely touched it since then, and yet still remember where everything is located (like jumping down the chimney in Darunia to learn the upward-thrust technique from the swordsman). If I can barely manage to play more than a single palace each time I try to play, do I actually like the game? One of the criticisms people like to toss at Zelda II is that it plays so differently from the other games. I have seen the following response before, but I think it makes a whole lot of sense — there had only been one game so far, so how on Earth do you compare it to “all” the “other” games? Of course, this is a perspective being taken years later looking back on the game, but for the time, it seemed like a natural extension of the gameplay seen in the first game. You are still Link with a sword and shield; you are still wandering around a massive world free to go anywhere you want with the items available to you so far; you unlock new areas to explore with new items; you can venture in and out of levels/palaces without finishing them if you really want to; etc. Of course, the concepts of experience points, magic, and especially “lives” were incredibly different from the first game, but again… for the time, it seemed like a logical expansion on the original. Another point I have seen many times before is that the side-scrolling sections in Link’s Awakening appear to be nods to Zelda II, even with their Mario-enemy cameos; they feel like single-screen Zelda II palaces with elevators, jumps, and especially the “Skull” enemy (itself reminiscent of the “Bubble” foes from the first game’s dungeons). This is still all hindsight, though. How about the controls, as in how Link actually moves and responds to you…? Back then and today I still feel that Link moves realistically and reacts appropriately for who he is. Quite frankly, once you obtain the downward-thrust sword technique, pro players can make Link look almost graceful in the way he hops and bounces off of foes, acting like a skipping-stone through caves and palace corridors. Link’s jumping ability in Ocarina of Time seems to be an exact copy of his Zelda II technique, albeit no longer manually-controlled. Unlike Mario, Link does not and cannot jump three or four times his own height. There is a certain “weight” to him that grounds him in reality, no matter how unrealistic and fantastic the scenario is. It still feels a little “stiff” like many of the early NES games, but was a clear mid-way point between the first generation of games and the masterpieces of technological wonder that were the system’s swan songs. While the first game by no means features an overly-saturated, lush landscape… the second game does feel like it has a more subdued, muted color palette. With the exception of the green forests and grass on the overworld, this section of Hyrule seems to be a rather dull place. Palaces are entirely single-color, caves are either dark or lit up in orange… heck, the most colorful things in the game are probably the enemies! This may have been a conscious decision to set them apart from their backgrounds, now that I step back to look at it more closely. Even Link’s outfit is a somewhat-desaturated version of what we (now) traditionally think of as his green tunic when placed upon the various backgrounds. Sure, it was partially a limitation of the console and the number of colors it can display, but it all comes together to form “Link” in a very special way. The game absolutely has its own aesthetic, one that was later used as “inspiration” for plenty of other games. The overworld was sparse and its enemy icons looked ridiculous, and as mentioned the colors were somewhat dull… but at the time, nothing else looked like it. 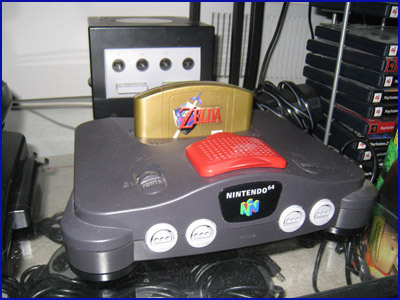 Even today, it retains its own individual look, and one that seems to have been referenced and expanded upon in style by games like Ocarina of Time. Despite the score being composed by Akito Nakatsuka (rather than veteran Koji Kondo), few people will claim that Zelda II has “bad” music. While the first game’s main melody is only briefly hinted at with the beginning of the overworld theme, this approach would return with Ocarina of Time… and it seemed to work out pretty OK there, too. The true testament to Zelda II‘s score is the inclusion of the palace music in Super Smash Bros. Melee, and a medley of the normal and final palace songs in Brawl. This one haunting piece seems to have survived the test of time more so than any other element from the game, and for good reason. Folks tend to overlook the rest of the game’s score, however; the town music laid the groundwork for later songs like the Kakariko Village theme in its simplicity and tone, while the cave music got you on the edge of your seat in anticipation of whether or not another Daria was going to come swinging with some flying axes. Needless to say, the score is phenomenal, and near-universally enjoyed. It contributes quite a bit to the overall enjoyment of the game. This is not an easy game. Even as an NES-generation child, I could not defeat Thunderbird in the final palace. Perhaps the first clue you get about the game’s difficulty is when you wander into the northern desert cave before getting the candle; if you somehow manage to jump past the bats and fire pits, that Goriya is nailing you with his boomerang. As I mentioned earlier, the true test of might is simply obtaining the hammer sometime after beating the first palace. If you can make your way past that one, final, red Daria… chances are you have the chops to continue. Even after that, though, the game does not hold back. The Ironknuckles are particularly difficult to deal with if you do not play defensively (something you rarely had to do in the first game), and choosing the wrong path in the third palace without first confronting that blue Ironknuckle trapped inside the blocks means you’re going to be battling a red one in front of you while the blue one throws knives at you from behind. Hitting a little, floating bubble while jumping across a pit invariably means you are falling to your death. Not grinding up a little magic-meter extension means you probably will not have enough magic points to cast that “Life” or even “Shield” spell when confronting the palace boss. The game is unforgiving, but mostly fair. Some of the enemies move rather unpredictably, and the Mace Thrower can be difficult to get some inside-range on, but perseverance means you will ultimately learn the general gameplay patterns and move forward. I have recently been playing through Retro Game Challenge on the DS. The final game, Robot Ninja Haggle Man 3, is a game in the vein of something like Metroid mashed up with some later Castlevania and a little old-school Ninja Gaiden or Shinobi; you are free to explore the world in the standard side-scrolling, action-game view with your sword, shuriken, jumps, etc. You can upgrade your abilities by purchasing “gears”, which grant you higher jumps, floating, powered-up shuriken blasts, and more. I have only barely played a couple minutes into the first Metroid game, and I have only played Castlevania games pre-Symphony of the Night. I have relatively little experience in the open-world “Metroidvania” style of games, and yet I find myself absolutely in love. There is no doubt in my mind that my PS3 & PSP will soon have a copy of Symphony of the Night on them, and I am even more excited to play Super Metroid. How does this all relate to Zelda II, though? You could make a somewhat-solid argument that Zelda II falls in line with this style of game. In fact, Jeremy Parish has done so. The palaces in Zelda II have some degree of “open-world” to them, albeit on a much smaller scale. The “standard” (again, only the second game here…) Zelda tropes of keys to open locked doors remain in your path, but upgraded magic spells like “Jump” and the glove which allows you to break blocks are what lead you to new areas in these palaces. Again, you are free to wander in and out of palaces as you choose; if all you want to do is grab that palace’s special item and move on without defeating the boss, feel free (similar to how you can play the first game). You will eventually have to come back to defeat him to place the crystal at the end of the level if you want to open up the final palace, but it is all left up to you to decide how and in what kind of order. In this respect, Zelda II almost seems like a “Metroidvania LITE” gameplay experience. Perhaps it acting as the basis for any familiarity I have with that type of gameplay and level design is what now has me interested in going back and checking out some of these major hits that I somehow missed over the years. Who can forget “I AM ERROR.“…? Even when accurate to the original Japanese script (as Error was), the half-translated nature of the game combined with the lack of character space to get across the necessary information certainly led to an unparalleled experience. Between Link actually “speaking” aloud for what may be the only time in the franchise’s history (“I FOUND A MIRROR UNDER THE TABLE.“), the in-retrospect pondering about what exactly goes on inside that lady’s house when Link’s health is restored, and the oft-seen “GAME OVER RETURN OF GANON” (brought about by sprinkling your blood on the big boss’ remains, mind you)… few games come close to the written-text experience of Zelda II. SO DO I LIKE THE DARN THING?! That’s a tough call. It is incredibly difficult to look back on your own personal history and familiarity with something and try to understand if you genuinely like it, or only think you like it due to that familiarity. Then again, if I am able to look back on things like He-Man and wonder how on Earth I ever liked it, I suppose I could do the same with video games and take a slightly-more objective look. With that in mind, I think I do like Zelda II. I like it more than just a historical snapshot in a series that contains two of my favorite games of all-time (the original and Link’s Awakening), but I also appreciate it on that level of timely-significance. I like it more than just a piece of my childhood gaming adventures. I appreciate many of the artistic choices made in its development. The level design continues to intrigue me. The enemies become more and more frightening as the game progresses, certainly keeping me on the edge of my seat. The game is difficult, but not impossible (Hello, there, other game from my youth called Battletoads), which provides an incredible sense of accomplishment. It is constantly called the “black sheep” of the franchise (typically with Majora’s Mask not far behind), but this should not be taken pejoratively. Many of its elements have stood the test of time to resurface in other games (the temple music, Dark Link), proving their historical significance and underlying genius. The fact that the game itself has been re-released an appropriate, but not overwhelming, number of times (GBA, Gamecube “Collector’s Edition” disc, Virtual Console) also speaks volumes. Zelda II is a good game… it might even be great. I think I like it. I decided to start up a new category of postings over here on WTF EX. It makes sense to review things on blogs, so that is exactly what I will do! I can’t promise just how often I’ll actually review anything, but since this struck my fancy, I’ll just go for it. As you may or may not know, I’m a somewhat big fan of The Legend of Zelda. In fact, two of the series’ games make up my top three games of all time. I have a strange history with the series after 1998, though. 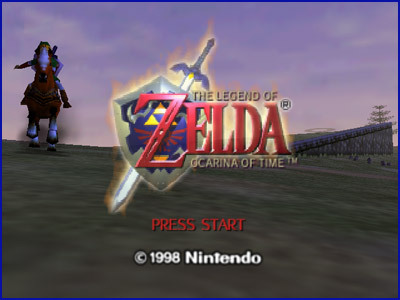 I found myself really wanting to enjoy Ocarina of Time, but simply losing interest (and quite frankly, becoming horribly bored with the game) after getting about halfway through. I tried playing another three times since then, and each time I got through less of the game before it bored me to tears. I started Wind Waker and got to the second dungeon before my now-classic “randomly dropped the game” syndrome kicked in. I didn’t play Twilight Princess at all, and instead watched Meri play through the entire thing. See, she’s the 3D fan for the series, while I champion the 2D games. It all works out in the end. Regardless of this fact, I still adore the story and implementation of Ocarina of Time in nearly every way, even if I never got through the game. To know that there was a manga series about it certainly raised a nerdy interest in me, and when I heard that Viz would be bringing it state-side, I was all over that. I think it’s really important to take a quick look at the ways in which I’ve viewed Link as a character, though. With the exception of Zelda II‘s wonderful, “I FOUND A MIRROR UNDER THE TABLE“, Link has essentially been mute from his debut onward (with the additional exception of fighting noises from the N64 era onward). This, however, is only in gameplay. There have been other areas in which Link has fleshed himself out a little bit, and I wanted to look at some American and Japanese examples that form my idea on just who exactly Link is before diving into the manga review. With the games themselves out of the way (and ignoring anything and everything on the CD-i), there’s no getting around the Super Mario Bros. Super Show‘s special Friday inclusion of the Zelda cartoon. Link suddenly became a snarky horn dog, far removed from the emotionless splash of pixels we had all become used to playing. 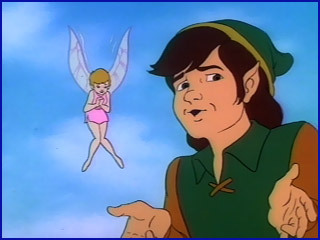 The iconic, “Well excuuuuuuuuse ME, Princess!” ended up defining Link as a character for many fans for many years, probably up until around the time that more games came out to help wash away the memories (don’t get me wrong; I enjoyed the show!). It seemed like an all-too-obvious American, 1980s/1990s take on the character, and is certainly the most distinct of any incarnation. Let’s jump over to Japan, though. The first Zelda manga I ever picked up was actually a gift for Meri sometime shortly after 2000; it was one of the 4-koma comic series. For those unfamiliar, think of your typical American comic strip in a newspaper. The panels are the same size, run consecutively/chronologically, and tell a short (usually humorous) story. Series like Azumanga Daioh also were released in the 4-koma style. In this particular manga, there are a whole bunch of these very short (funny!) strips throughout the issue. Picking up bombs, finding hidden places… all the usual scenarios you would expect to play in a Zelda game are represented. While I cannot fluently read any of the text, the artwork is enough to get the hilarity across. At Otakon 2007, one of the Japanese bookstores was unloading cheap copies of Akira Himekawa‘s manga, so I picked up two random volumes. These would be the versions that Viz would eventually bring out to the US about a year later. I didn’t do much other than flip through them, but I could tell that Link was at least talking with other characters and going about with his adventures almost exactly as we saw (and played) in the respective video games. This takes us up to the American release of the manga, and the actual “review” of it (geeze, it seemed like it took a long time to get here!). With all of these “versions” of Link in mind, it was tough to jump into this and figure out how to accept him as a character. Add to that the fact that Viz brought it out under the “Viz Kids” label, and as a guy in his mid/late-20s, you start really wondering how or why you should read it at all. Yes, there will be “spoilers” in this review (both for the original story from the game, as well as new plot points added to this manga). Since this particular manga tells the story of Ocarina of Time, I found myself assuming the role of that Link in my head, and I did so pretty easily. I knew where the story was going and how it was going to get there, but also knew that some plot points may be different. 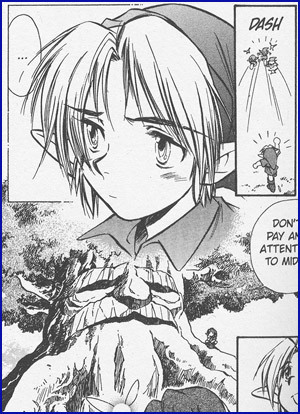 It was a little tough to get used to a character that was so verbose, especially since Ocarina of Time (the video game this manga is based on) really solidified the “mute” Link. He clearly has “conversations” in the game, but you only ever get the OTHER characters’ side of it. Instead, the manga presents us with a character not afraid to show emotion both with his body and his voice, and even has plenty of internal monologue moments. It makes sense, and most likely wouldn’t work too well as a manga without these traits (though I’m sure plenty of doujinshi have explored this). The story had enough nods to exact scenes from the video game to satisfy that itch, but also presented enough new plot points and character development to make me want to read it rather than just go play the game for myself, instead. Things directly from the game that I liked included Saria waiting for Link by the bridge on the outskirts of the forest, carrying Princess Ruto around for a while inside Jabu-Jabu, and shooting an arrow into the painting to fight against the ghost/spirit version of Ganondorf. Some of the new elements are what really help the story shine, though. The Stalfos that gets personified as something more than just a random, nameless bad-guy (it meets and battles Link both in the past and future) was a nice touch. One of the most heart-breaking parts of the manga was Link’s little dragon friend that was corrupted into an evil beast, which Link was forced to behead and kill in order to save the Gorons. Even with a couple of these more “intense” story moments, they are not enough to bring the entire package to anything more than standard kids fare (and at times, maybe a little too childish). 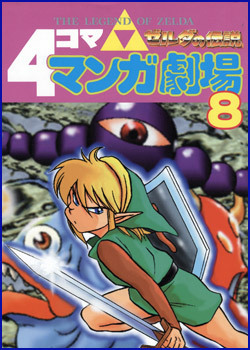 The Zelda franchise wouldn’t attempt to show its slightly darker side until Twilight Princess (though I’d argue that the Nightmares in Link’s Awakening did it first), so while it does make sense to have this particular manga be so heavy on the children focus, it might partially alienate the fans that have grown up with the series looking to jump into the manga. Sure, the manga is eight years old at this point, but I don’t see myself having too different an opinion on these elements eight years ago, either. At the same time, what else should I expect? Nothing, really. I expected a children’s manga, and that is exactly what I got. Perhaps I was hoping for a couple extra bits here and there that might be more “adult” in tone, but it was not meant to be. That being said, I don’t mean to diminish what is actually presented and done well, which is the vast majority of what I’ve read. I found the artwork a little busy and confusing at times (I had the same thoughts recited back to me by Meri, so I know I’m not alone). The logical flow didn’t always seem so logical, and the fading of edges and spreads could be misleading. The art seems to be very shoujo in style with trends of shounen story development (and with “Akira Himekawa” actually being a pen name for “A. Honda” and “S. Nagano” [both women], and the Zelda series also having a strong female fanbase, this makes a lot of sense). One thing that made my inner-nerd rise up in protest (both figuratively and literally, in that I couldn’t resist pointing it out to Meri) was the note on one of the in-between-chapter pages showcasing Link on top of Epona which says, “It’s unusual for him to hold his sword in his left hand.” Sorry, ladies! 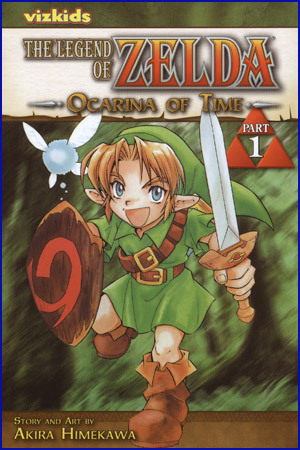 Link has exclusively been left-handed throughout his entire history, and wouldn’t be shown holding a sword in his right hand until the Wii version of Twilight Princess at least six years after this manga’s publication! Sure, it’s just a minor thing, but if they were going to make such an obvious note of it, that note should not be so glaringly incorrect! One important “defect” with this particular Viz version of the release is the misalignment and binding of some of the pages (mostly toward the middle and later on in the volume). It seems to have been placed too far into the middle of the book, rendering the ends of some sentences completely unreadable. Hopefully this is fixed in future printings (this particular version I own is the first printing from October 2008). 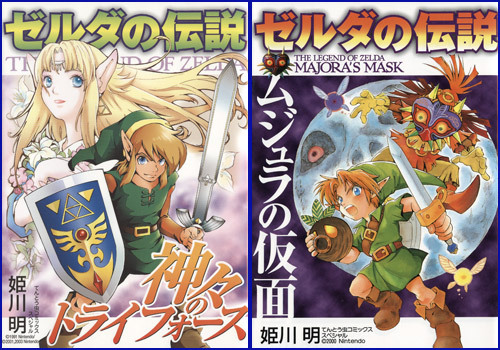 While I have only gotten around to reading the first volume of the Ocarina of Time series (of two total), I look forward to grabbing the second volume and all subsequent releases (hopefully Majora’s Mask, etc.). Volumes one and two are available now from Viz under the “Viz Kids” label for $7.99 a pop. It’s a nice way for me to quickly re-experience games that I enjoy in theory, but can just never fully get into when I sit down to play.